Don’t worry, comic book fans. 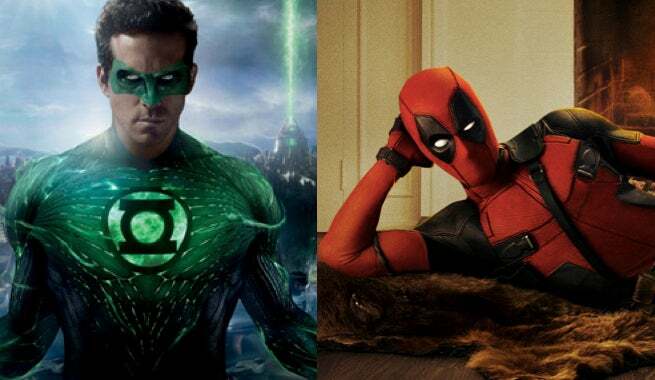 Ryan Reynolds wants a Green Lantern sequel as little as you do. While discussing his upcoming Marvel film, Deadpool, on CONAN last night, Reynolds discussed how he impersonated trailer voiceover legend Don Lafontaine in Monday’s Deadpool trailer tease. As Reynolds got into Lafontaine character, he took the opportunity to make a massive dig at the disastrous Green Lantern film, which he starred in with Blake Lively. While Reynolds was joking, we suspect the exclamation would be most people’s reactions to Green Lantern sequel. The original 2011 film earned a dismal 26% Rotten score on Rotten Tomatoes, and was a box office flop. Naturally, DC Entertainment will pretend the movie never happened when they release the upcoming Green Lantern Corps. film as part of their cinematic universe. What do you think of Reynolds’ Green Lantern joke? Let us know in the comments! Deadpool (which will have even more Green Lantern jokes) opens everywhere on February 12, 2016.